register for this program and get 15% off your accommodations! This special is applied automatically when you book and is valid until May 1st. Learn a deceptively simple and boldly creative approach to sustaining connection and addressing conflict in a time petitioning for robust examples of human courage, honesty and radical empathy. NVC is a language rooted in heart and conscience and ultimately a faithful map for any relationship struggling to find a reliable horizon in stormy seas. For lovers, leaders and cynics alike. We don’t need experts to tell us that communication matters. Our relationships are evidence enough. We are ‘relational’ creatures and our ability to thrive and attend to life’s challenges depends significantly on our ability to cultivate and nurture healthy connections. But what if the ways in which we’ve been educated to relate only increase the divide between ourselves and others? And what if the areas we focus on when attempting to resolve conflict actually throw us off the scent of what’s really at stake and needs attention? identify and break through limiting patterns of thought and speech. build a reliable and time tested language reservoir that enhances connection. become more discerningly responsive and less impulsively reactive. tune into the unspoken needs underlying what people say. cultivate greater compassion for self and others. engaging presenter led instruction and discussion. individual, dyad and group exercises (both written and oral). time to integrate and reflect. Change your experience of conflict and relating with this dynamic and life honouring approach grounded in both spiritual and emotional intelligence as well as ecological wisdom. 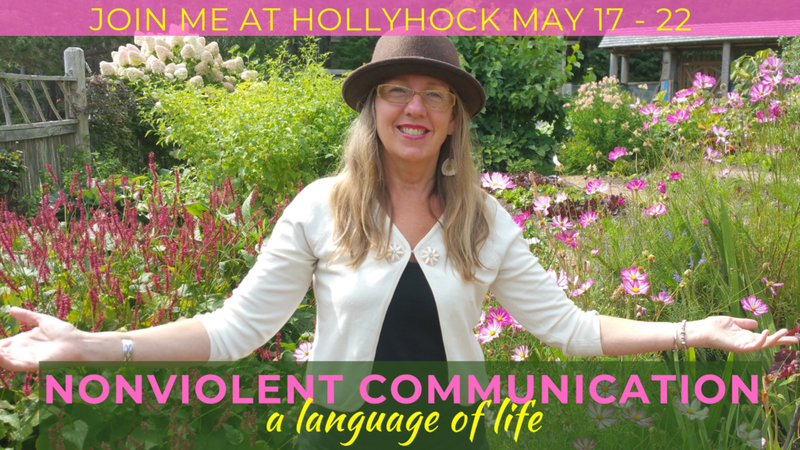 Rachelle Lamb is a speaker, writer and certified NVC trainer. She has worked in the field of Interpersonal Relating and Conflict Resolution for over 20 years. Countless clients have learned how to skillfully navigate interpersonal conflict and challenges through her guidance and instruction, quite often leading to profound breakthrough. Partial scholarships are available for up to 50% of tuition for many programs. Priority is given to those in financial need, who plan to bring what they learn at Hollyhock back to their homes, workplaces, and communities to make the world better. Donate or Apply here.